You don’t have to go to every single search site out there to find the lowest price. Using something like Google Flights or Skyscanner allows you to search for the cheapest fares an entire month at a time. I love the flexibility of these sites, especially when I don’t have a particular destination in mind. You can put in the dates you know you want to fly and the site will tell you the prices of destinations around the world. You can easily see where the cheapest place to fly are. It allows you to dream and plan your get-away a different way than we have traditionally done it. The folks at CheapAir tracked ticket prices from about 320 days before takeoff all the way up until the day before, calculating precisely which day each one hit its lowest point. 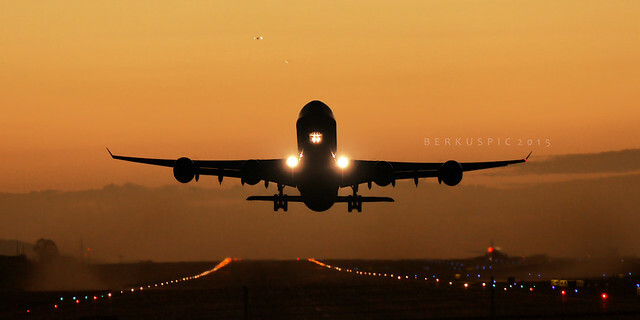 Fifty-four days before takeoff is, on average, when domestic airline tickets are at their absolute lowest price. If you don’t hit 54 days on the head, you should usually book between 112 to 21 days before your trip for the lowest possible prices. Whatever you do, don’t wait until the last minute if you want to save on airfare. Have you noticed that a flight price has changed after searching it a few times in your web browser? You’re not crazy for thinking that. Based on the cookies in your browser, flight prices do increase when a particular route is repeatedly searched. Always search for flights in incognito or private browsing mode to see the lowest prices. Search engines can only do so much and don’t always include small, local airlines. We traveled to Europe in 2011 and once we got there, we then used RyanAir to get around. That saved us hundreds of dollars when we were buying 4 airline tickets. Here is a list of other countries and their low-cost airlines to help you find cheaper airfare. Always remember that there is usually fine print with budget airlines, like bag fees, so do your homework and make sure you read the restrictions. Click here to see all the budget airlines around the world. I hope this post helped you to find some ways to lower the cost of your airfare. Now, Go Explore! These are great tips! I can’t wait to put them to the test. Thank you! Great tips. Ryan Air was excellent example. Tip like these are invaluable to new travelers and those on a budget. Thank you for commenting! The tips really are invaluable. I know when we started out it was a steep learning curve. We are happy to share the knowledge and make it just a bit easier for people to go explore. What awesome tips!!! I hadn’t ever heard of Google Flights!!! Thanks for the info. We are so glad you found something helpful — Happy Travels! Love these tips! I need to start planning a flight I’ll be taking in June :). I’m so glad they were helpful — Happy Travels! Such great advice. Especially about the rates going up if you search multiple times for the same flight!